A food allergy happens when the immune system overreacts to a certain food that has been eaten. 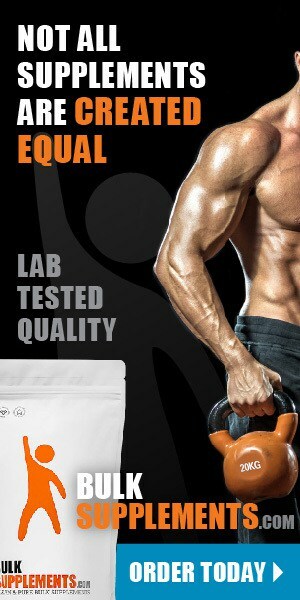 Normally, your immune system destroys harmful germs and viruses. However, the immune system sometimes mistakenly detects and attacks a food protein as an invader. The body makes its own proteins (IgE antibodies) to attack the food allergen. Then, when you ingest that food again, your body “remembers” the offending food and sends out its IgE antibodies to attack it (x). 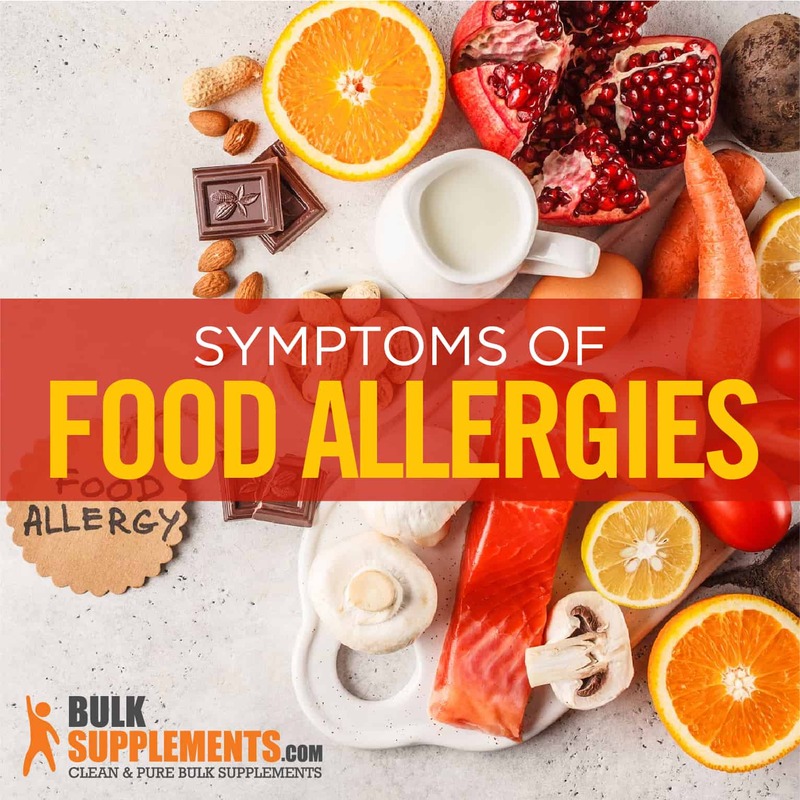 You will know when your immune system is attacking a food allergen, because your body will respond with various symptoms, which may surface as nausea, coughing and more. It’s easy to confuse a food allergy with a food intolerance, which is much more common. A food intolerance can be annoying, but its symptoms are usually less serious and the reaction involves the digestive system instead of the immune system (x). Food allergies affect between six to eight percent of children under age 3. Around three percent of adults also have food allergies. Food allergies don’t have a “cure,” but some children outgrow them. Children are more likely to outgrow a food allergy than adults. Environmental Factors. The alarming increase in food allergies has provoked several theories about their causes. The hygiene theory asserts that because we live in an overly sanitized society, proper development of the immune system is stunted. Other factors such as pesticide use and over-exposure to antibiotics may also play a part in the rise of food allergies in children (x). Family history. Having a close family member with a food allergy increases the risk of having one. Age. Young children are more likely to develop a food allergy than an older child or adult. Having another food allergy. People with food allergies usually have more than one food allergy. Peanuts & Tree Nuts. About 1 percent of the world’s population has a deadly nut allergy. This is the most common cause of food allergy deaths. Cow’s milk. Children usually develop this food allergy within the first six months of life. They often lose this allergic sensitivity to milk by age 3. Soy products. Soy products are hard to avoid; they’re even found in infant formula. A soy allergy causes tingling in the mouth, swelling and abdominal pain. Shellfish. People often develop a shellfish allergy later in life. This is the most common allergy that causes a trip to the emergency room for people over age 6. A shellfish allergy usually lasts a lifetime and affects nearly seven million people in the United States. Eggs. Eggs are a common allergen in young children. Symptoms of this food allergy usually happen shortly after eating eggs or foods that contain eggs. Signs of an allergy to eggs can be mild or severe and may surface as rashes, hives, congestion or digestive problems. Wheat. People can be allergic to one or more wheat proteins. A food sensitivity to wheat gluten is a different condition involving the digestive system. Fish. An allergy to fish may not surface until adulthood; this is true for 40 percent of people with a fish allergy. An allergy to one type of fish does not mean a person will be allergic to all varieties of fish. Sesame. Sesame oil and sesame seeds can cause allergic reactions in some people. Symptoms can be mild to severe. Someone with a food allergy may experience symptoms that are mild — or they may be quite severe. After eating the food, a person can suddenly have trouble breathing, feel the heart racing, feel itchy or pass out. If an individual is highly sensitive, simply breathing the allergen can trigger a reaction. An allergic response can involve the skin, the intestinal tract, the heart or lungs. The majority of food allergy symptoms happen within a few hours of eating. They often start within minutes, but in rare cases an allergic reaction may be delayed for a few hours (x). In some people, food allergies can trigger a medical emergency. One of these is FPIES (food protein-induced enterocolitis syndrome). FPIES is a severe gastrointestinal reaction that kicks in within two to six hours after eating milk products, soy, some grains and other allergen-producing foods. It occurs predominantly in infants who have been exposed to foods for the first time. FPIES shows up in repetitive vomiting and diarrhea. FPIES can look like a virus or bacterial infection, so its diagnosis may be misunderstood. Because FPIES can lead to serious dehydration, it should be treated immediately with IV fluids (x). Anaphylaxis is the most severe and life-threatening response to an offending food. This involves the whole body, causing a sudden drop in blood pressure and difficulty breathing. It happens instantaneously and must be treated immediately. People who know they have a severe food allergy are advised to carry epinephrine with them, as this can counter the dangerous effects of anaphylaxis. Epinephrine, also called adrenaline, seemingly works like magic to defeat the serious effects of anaphylaxis. Epinephrine constricts the blood vessels, which decreases swelling and boosts blood pressure. It increases heart rate and relaxes the muscles in the lungs, causing airways to open up and allow normal breathing. Because epinephrine influences the whole body, it’s the preferred remedy for a serious food allergy reaction. Scientific research suggests that exclusive breastfeeding for the first 4-6 months of life may prevent the development of food allergies (x). If breastfeeding is not possible, special anti-allergen infant formulas are available for high risk children (x). Infants between four to six months can be introduced to single-ingredient infant foods. Introducing foods slowly can be a wise way to identify and eliminate foods that cause allergic reactions. The best way to treat a food allergy is to recognize and avoid trigger foods. Those with food allergies should always carry epinephrine for accidental ingestion. Oral immunotherapy (OIT) has been studied in clinical trials for over a decade. This therapy desensitizes patients with food allergies by giving them a small, controlled amount of the allergen over time. This innovative treatment has patients with peanut allergies wear a small adhesive containing peanut protein on the skin. This is replaced daily. For those who have a peanut allergy, this may be an effective treatment. After using the peanut patch in clinical trials, food allergy patients were able to tolerate an increased dose of peanuts without serious reactions (x). The goal of both OIT and the peanut patch are to make the patient eventually less sensitive to the allergen. Inquire about ingredients when eating out and carefully read food labels. The United States requires that major food allergens are to be listed clearly on labels. Carry auto-injectable epinephrine to treat allergic reactions. Teach others how to use it. Consider wearing a medical alert bracelet that describes your food allergy. A food allergy is a reaction by the immune system, which treats a certain type of food as a threat to the body. The immune system makes antibodies that attack the supposed invader, causing a variety of symptoms. The symptoms can be mildly irritating or dangerously life-threatening. People are more likely to have a food allergy when someone else in the family has one, and although food allergies cannot be cured, some people grow out of them. Any food can be a potential allergen, but there are a group of eight foods that most commonly cause allergic reactions. People who live with a food allergy are encouraged to always carry epinephrine, which can quickly counteract severe symptoms. Living with a food allergy can make life difficult. Some people use supplements to ease symptoms and support good health, and innovative treatments are being tested with the hope of making life easier for many.